There has been a rise in fires caused by the misuse of appliances in the home, according to the Electrical Safety Council. The ESC says fires from appliance misuse – or “safety blunders” – have increased by over a third since 2009. It says misuse is already the top cause of all fires in UK homes. There were 14,700 such fires in the last year. On average, fires caused by misuse kill 22 people and seriously injure about 2,500 each year. The charity has issued guidance, tips and a Facebook application to help combat such safety mistakes. Its campaign is being supported by the Chief Fire Officers Association. While appliance misuse is on the increase, there has been an overall decline in house fires, with chip pan fires falling by two thirds and fires started through smoking dropping by a third. Phil Buckle, director general of the ESC, said: “People think that they are behaving safely but the majority of people we surveyed had put themselves at risk by unknowingly making a safety blunder. Vij Randeniya, president of the Chief Fire Officers Association, said: “We support the ESC’s campaign and the partnership with local Fire and Rescue Services around the country. 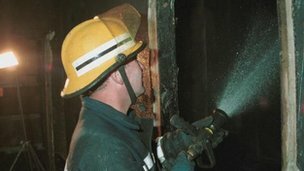 The ESC has conducted a survey of public attitudes to fire safety, interviewing 4,098 adults. It says that three quarters of those surveyed said they had performed at least one “safety blunder” or misuse of an electrical appliance. The ESC believes that there is a clear link between this lack of understanding and the surge in such fires. Its research also suggests many UK adults do not have adequate protection from electrical fires – less than half of those surveyed (49%) have a Residual Current Device in their fuse box, a safety device which minimises the risk of fire by cutting off the power in the event of a fault. However, almost four out of five (79%) believe that their homes are electrically safe. The ESC’s studies also included fire and accident trends from the Department of Communities and Local Government and data on the number of high risk electrical items in homes from the Department of Energy and Climate Change.